Black pepper powder : 1tsp. Bay leaves : 1-2 pcs. Beresta (fried onion) for garnishing. 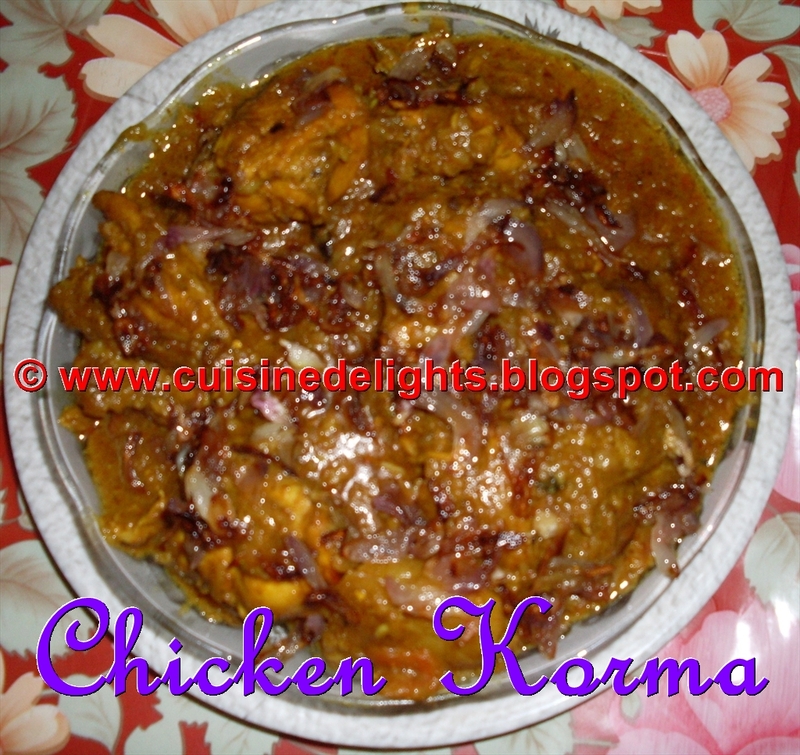 Cut the chicken into pieces and apply salt and half of curd,turmeric powder, keep aside for 1 hour. Again heat ghee in a pan, Fry the onions until golden brown. Heat oil in a pan and fry chicken, keep aside.In same pan add some ghee and then add the bay leaves and 1 tsp. of sugar, add onions before bay leaves turn dark brown. Saute till onions get soft and translucent. Add ginger-garlic paste and saute for few more minutes. Add turmeric, red chilli powder and sauté it. Make a paste (cumin powder,coriander powder,black pepper powder with water or chicken stock). Add it in pan. When oil separates the masala, add the chicken pieces, mix well with the masala paste and saute for 10-12 minutes. Add 2 cups of hot water and let it cook covered with lid. When chicken is 2/3 done, add beaten curd, garam masala and mix well. Season with salt. Let it cook for another 5 minutes. There should be no water left, it's a dry gravy based dish. Lastly garnish with beresta (fried onion). Serve with Fried rice, Polao or any Indian bread like puri, paratha etc.